SEMA Hall of Fame - Rick Rollins, 2006, Superchips, Inc..
Rick Rollins swore that he would never be a white-collar guy. He distinctly recalls working as a mechanic with his head under a car's hood and telling a friend: "Man, you'll never get me in a white shirt behind a desk. This is all I want to do." The route from the garage where he made that statement to his office at Superchips, where he is the vice president of sales and marketing (in 2006), has also taken him to race tracks, retail jobber stores, distribution businesses and even a stop at the sheriff's office. Even before he graduated from high school in Louisiana, Missouri, in 1970, Rollins was a race fan. 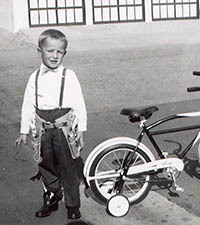 Working part time in a garage and then at an auto-parts store, he read about his racing heroes in Hot Rod and Car & Driver and watched what coverage there was on television sports programs. It was in the parts store that Rollins was first introduced to Ray Motes, whom he had just seen interviewed by Jim McKay on ABC's "Wide World of Sports" the week before. Motes was the reigning NHRA Top Gas world champion, and the two hit it off immediately; so much so, in fact, that Motes invited Rollins to join his team on the Motes & Williams dragster. For the remainder of his senior year and for several years afterward, Rollins spent his weekends traveling around the country with Motes and the team. After the racing season and graduation, Rollins worked as a jobber counterman for a year before being invited to join Motes at Automotive Distributors Incorporated in Kansas City, where Motes ran the performance division. ADI was one of the first companies to actually warehouse parts and accessories, and Motes hired Rollins to be the head buyer for performance parts. Through his associations there, Rollins met industry veterans such as Bob Airheart, Joe Hrudka and Herb Golstein as well as racing legends Bill Simpson, Mickey Thompson and Parnelli Jones. Rollins stayed with ADI until 1973, then took his only break from the automotive specialty-equipment field. He worked as a deputy sheriff for a year and did a little part-time work at a shoe store, but soon Motes brought him back into the fold. The drag racer owned a sand-buggy shop in Kansas City, and he sold it to Rollins in 1975. Rollins ran American Bugg, which was a Volkswagen performance, racing off-road parts and service center, until the middle of 1980, when he took a job as regional sales manager for Hasting Manufacturing Company. He supervised sales in seven states for the Hastings product line of pistons rings and filters but also began his own racing venture, campaigning SCCA Formula Ford and F2000 cars. Then Motes again made him a job offer, this time as national sales manager at Taylor Cable Products Inc., and he was later promoted to vice president of sales and marketing. Rollins remained with the manufacturer of automotive wire, wiring harnesses and ignition wires and accessories for the next 12 1/2 years. 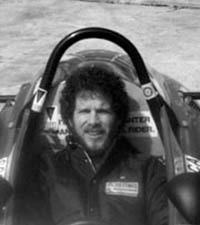 During his tenure with Taylor Cable, Rollins became active in SEMA as well as the Performance Warehouse Association (PWA). 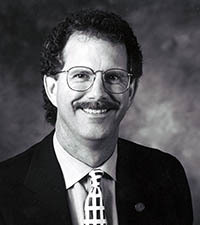 Despite considering himself a relative unknown within the industry, he ran for and was elected to the SEMA Board of Directors in 1991 and served three two-year terms, which is the association limit for consecutive elections. In 1993, he received the PWA's Person of the Year award, which is voted on by the customers who are served by PWA-member companies. 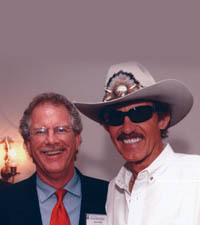 In 1999, Rollins became the national sales and marketing manager for Superchips Inc., the well-known manufacturer of electronic tuning products for late-model cars and light trucks. He again won election to the SEMA Board of Directors in 2000 and is currently serving his third term (as of 2006) in his second string. His enthusiasm for racing remained unabated at Superchips, and he was instrumental in the company's sponsorship of a NASCAR truck, which has also led other specialty-equipment companies to follow suit. 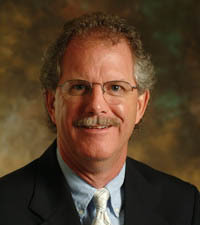 His successes with Superchips, including his efforts to bring profitability back to distribution for both warehouses and jobbers, led to a number of honors for Rollins, such as his second PWA Person of the Year award in 2004, and he was appointed to his current position as vice president in 2005. Over the years, Rollins has also contributed his time and effort to a wide array of SEMA committees and task forces. He served on the Executive Committee for two years, the Long Range Planning Committee for two years, the Motorsports Parts Manufacturers Council Select Committee for six years, and he also sat on the SEMA Show Committee and the Nominating Committee as well as the EDI and Technology task forces. With typical modesty, he credits many of his friends and mentors with giving him guidance and help along the way, such as SEMA Hall of Famer Bob Airheart, now retired; Ron Funfar, president of Hedman Hedders; Hall member Jim McFarland; John Simmons retired president of Seco Performance; H.G. Smith now retired; and Ray Motes vice president and general manager of Taylor Cable. "My passion has always been to help the guys who are working behind the counter or under the hood." he said. "I pushed for the SEMA Scholarship Fund to give some of the scholarships to students at Vocational-Technical schools. I took Vo-Tech for two years. That's how I learned the technical side of working on a car, and I said "these are the guys who are the guts of our industry, and we need to support them."" As with so many others who have been inducted into the SEMA Hall of Fame, Rollins will undoubtedly continue to make contributions to his company, the industry and the association for years to come, and he will continue, as he always has, to treat people honestly and fairly. "I don't care if you're selling pencils, pantyhose or sparkplug wires, it's two people doing business." he explained. "Your product is important, and so is how you sell it. But it's integrity. If you give your word, you've got to back it up. You can't tell people one thing when you plan on doing something else. I think that's helped me in going from one company to another. People have said that they never worried about what I was selling because they knew I would support what I said I would do." The father of two sons, Richard, 26, and Joe, 18, Rollins has tried to instill his values in them as well as in the younger people he has advised about how to conduct business. But he also counsels them that making mistakes is part of the territory. "Good judgment comes from experience, but experience comes from bad judgment." he said. "If we were right all the time, we'd never learn anything. You've got to be wrong; you've got to screw up; you've got to make some mistakes or you're never going to learn anything"
He has been married to his wife, Penny, for only a few years after a long courtship, but a note of tenderness enters his voice when he speaks of her. It's a side that competitors don't often see. "There's always somebody on the other side of the desk or the other lane of the race." he said. "I'll do my damnedest to beat 'em if I can, but I'm not going to do it dishonorably or immorally." That attitude has taken Rick Rollins a long, long way.